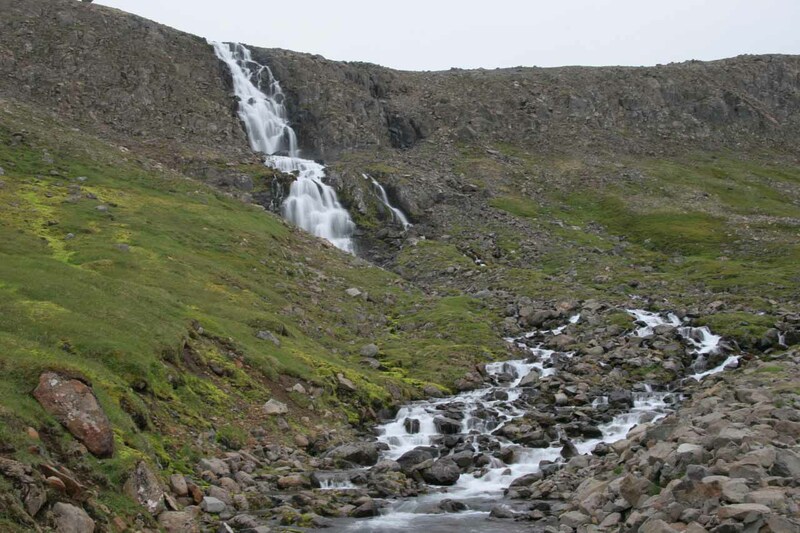 The Other Westfjords Waterfalls page is where I’m putting in the many waterfalls that we’ve found throughout the Westfjords region that we didn’t devote a dedicated webpage to for one reason or another (usually because we don’t know the name of the falls, we don’t have much to say about it, and/or we thought it would be one of those dime-a-dozen waterfalls that really would be for waterfall collectors and nothing more). 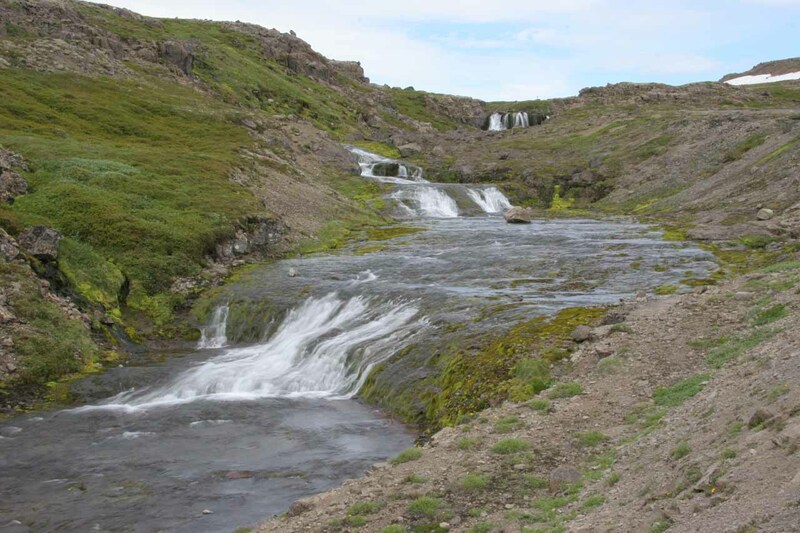 So the waterfalls found here were pretty much any waterfall not named Dynjandi, Djúpavíkurfoss, Waterfall in Tungudalur, or the Waterfall at Foss. 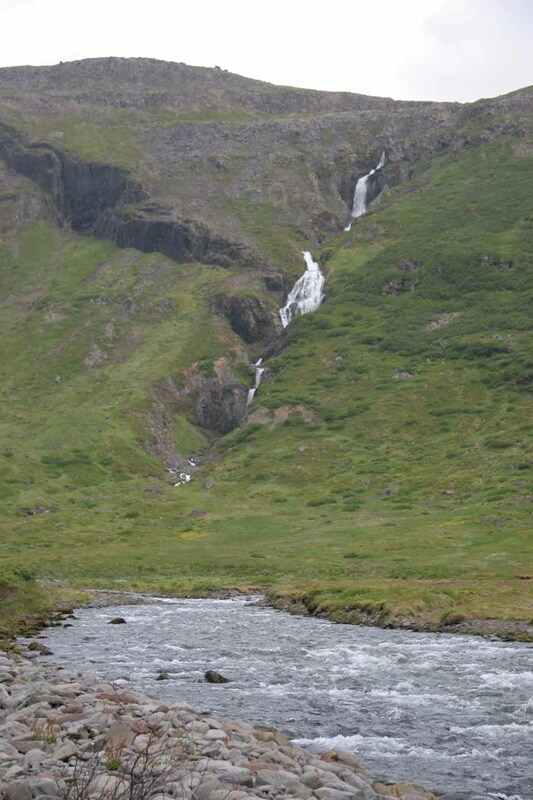 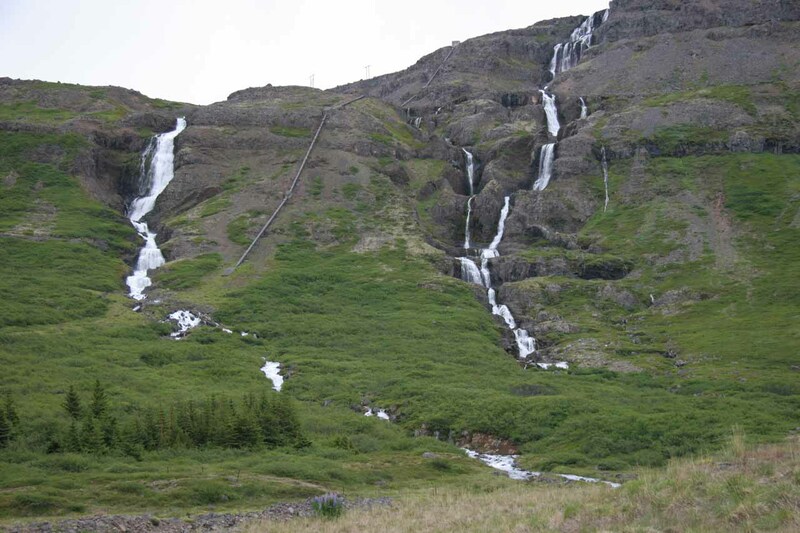 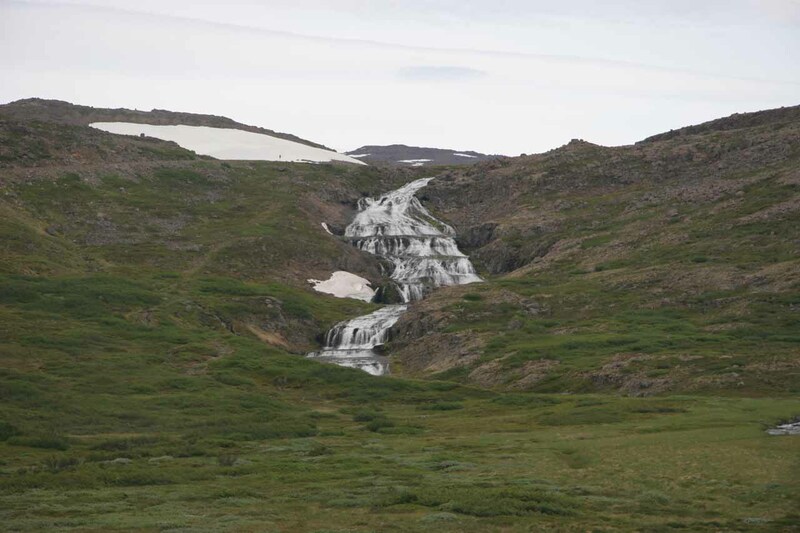 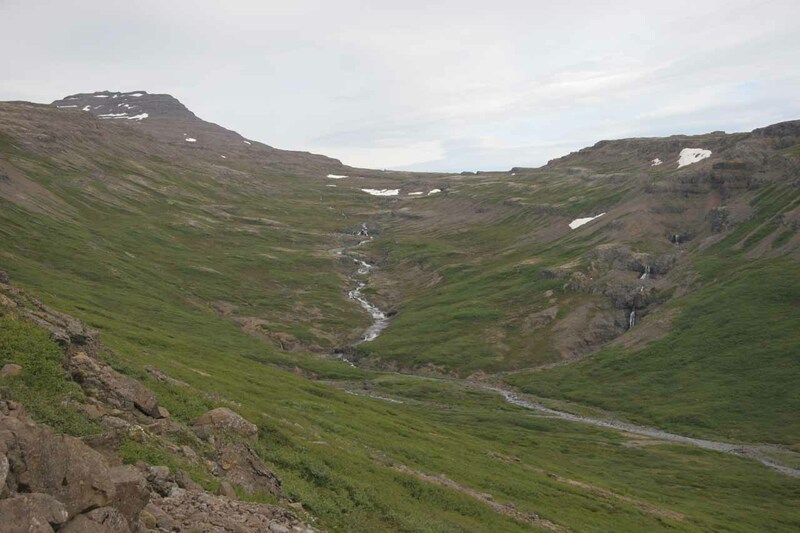 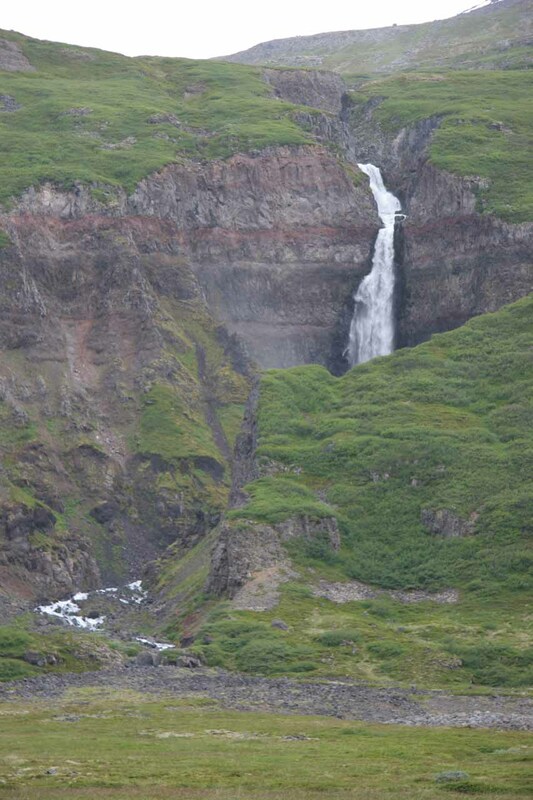 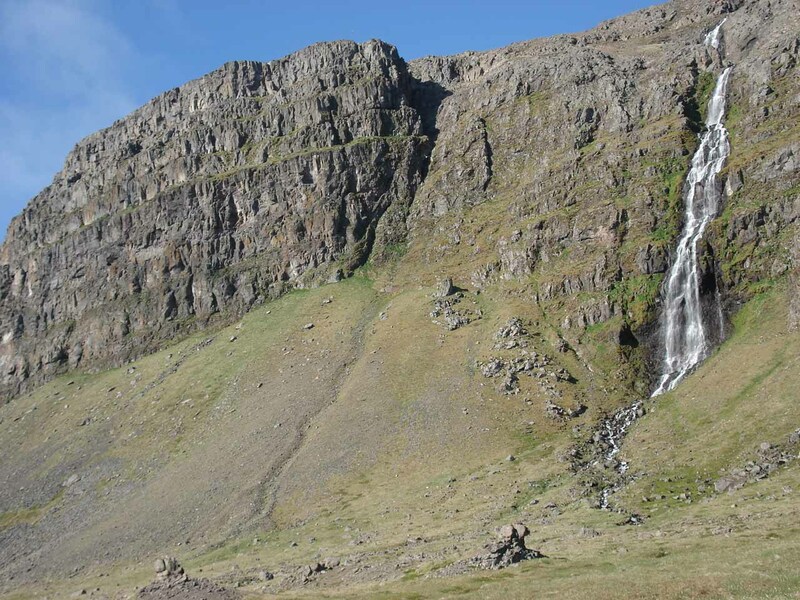 As you can see from the photos on this page, many of the waterfalls here were significant in their own right. 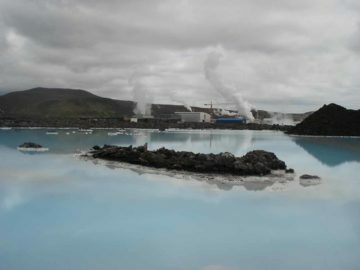 But they live on in relative obscurity for one reason or another (usually because of remote location), and I’m sure they would’ve been more popular if they were situated elsewhere that wasn’t so remote. 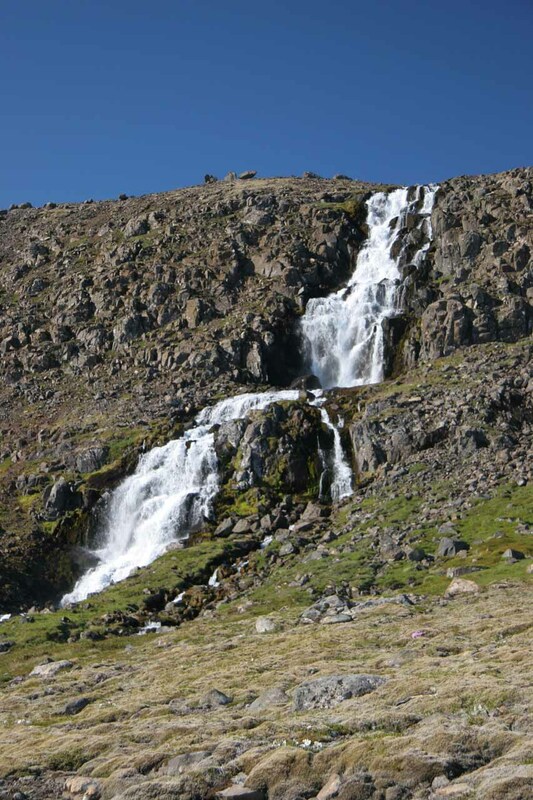 So this page was our way of giving props to them. 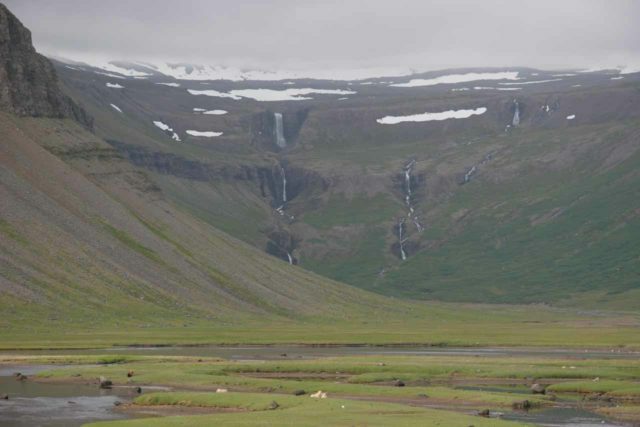 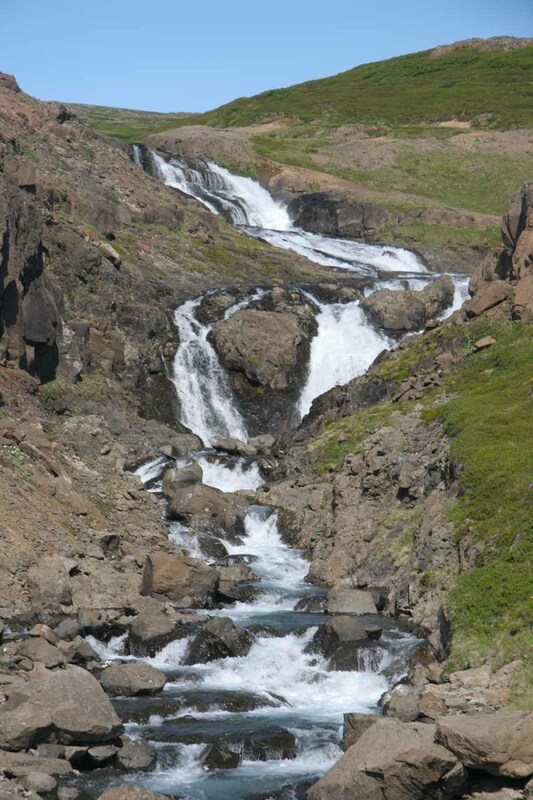 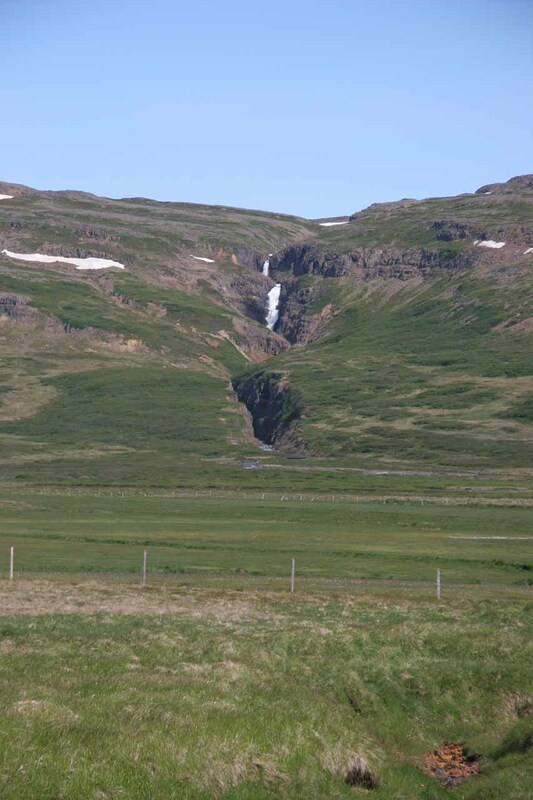 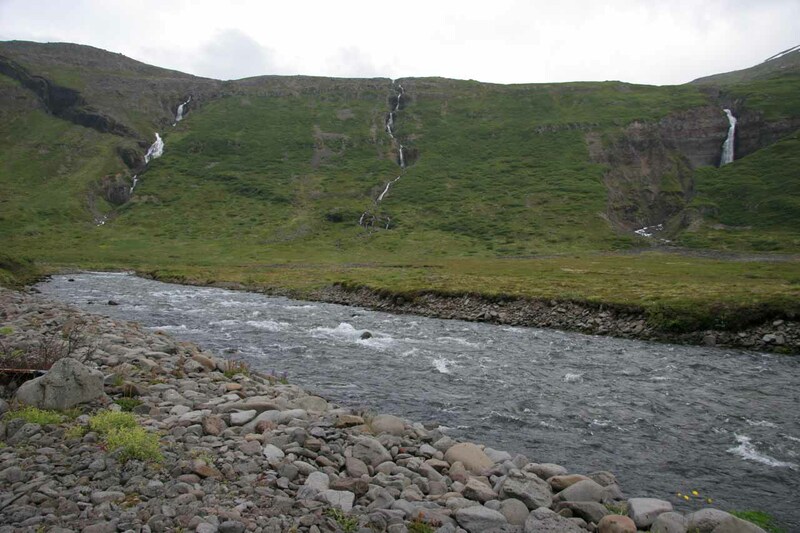 Some of the more memorable ones among the lot on this page include a waterfall near Mjólkárvirkjun, a couple of the cascades on the Strandir Coast, and a couple of powerful ones by some place called Valagil near the head of one of the Westfjords many fjords (just one fjord to the east of Ísafjörður) on its north-central section. 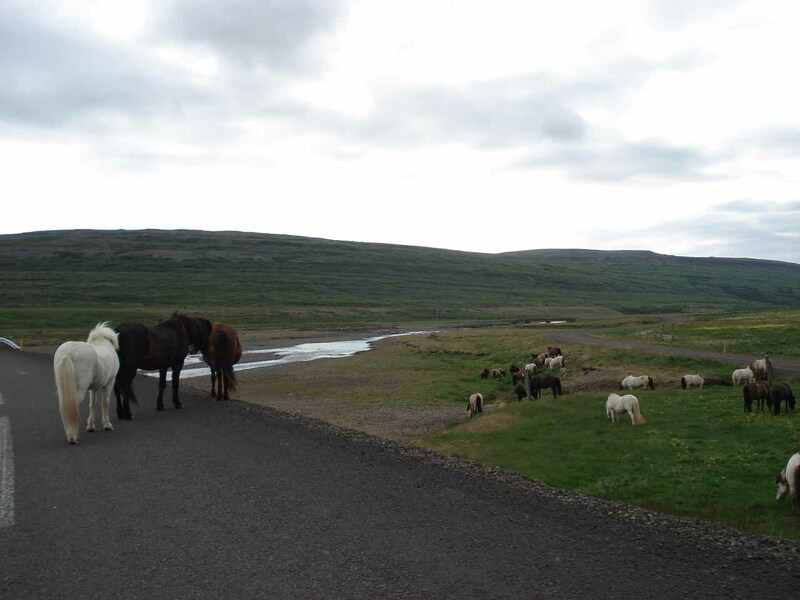 Moreover, you can see that we had a very hard time trying to stop for what we thought were the major ones, because if we had stopped for all of them, we wouldn’t be able to leave the Westfjords! 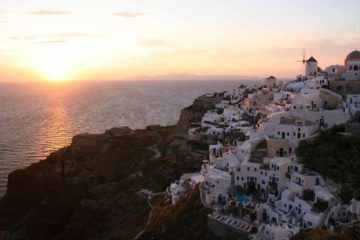 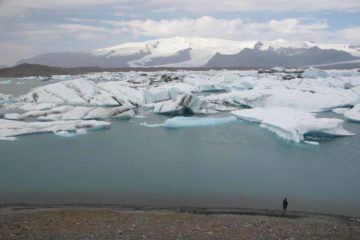 I think we ended up taking heaps of photos, which was a testament as to how many you can easily find here just along the roads! 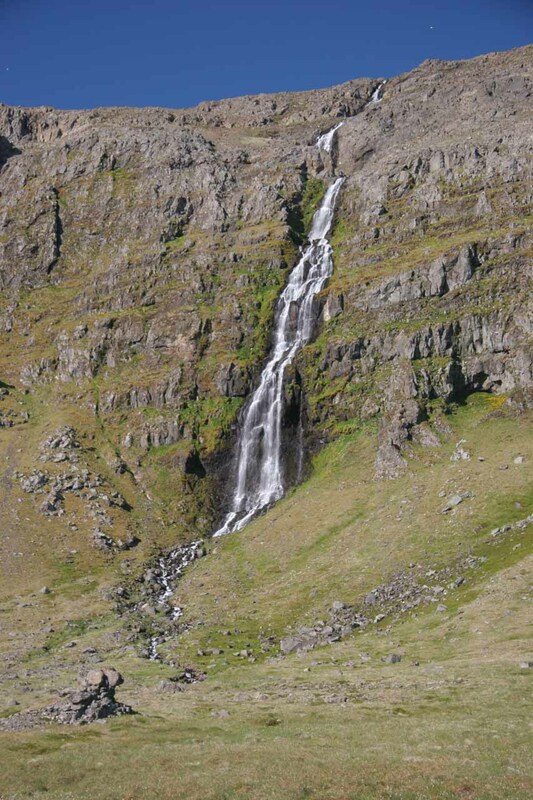 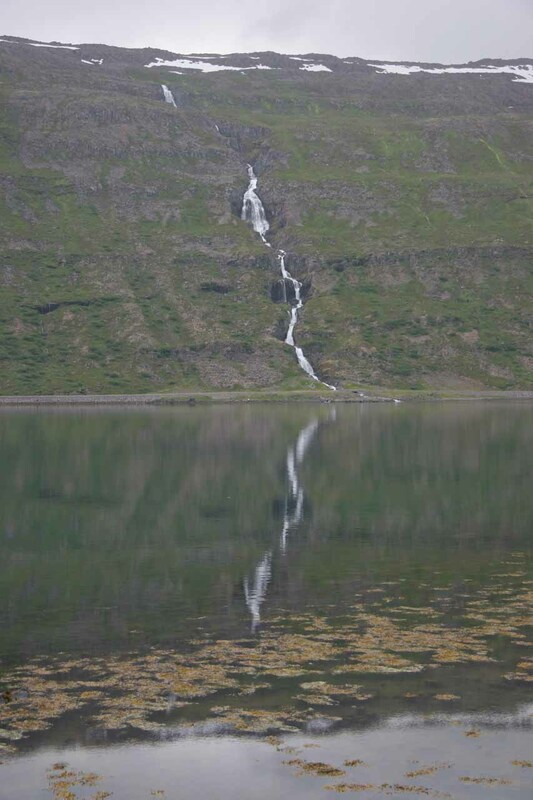 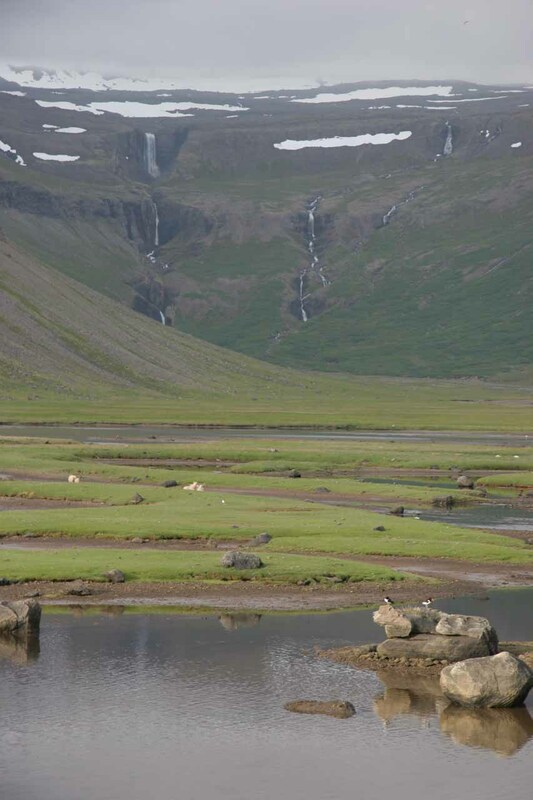 Besides waterfalls in the west and central parts of the Westfjords, I’m also including waterfalls from the beautiful Strandir Coast on the eastern part of the fjords as well. This page covers the stretch of roads that we’ve driven through most of the coastal parts of the Westfjords. 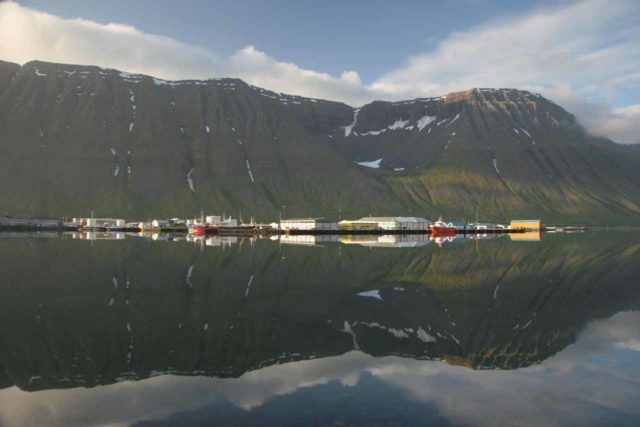 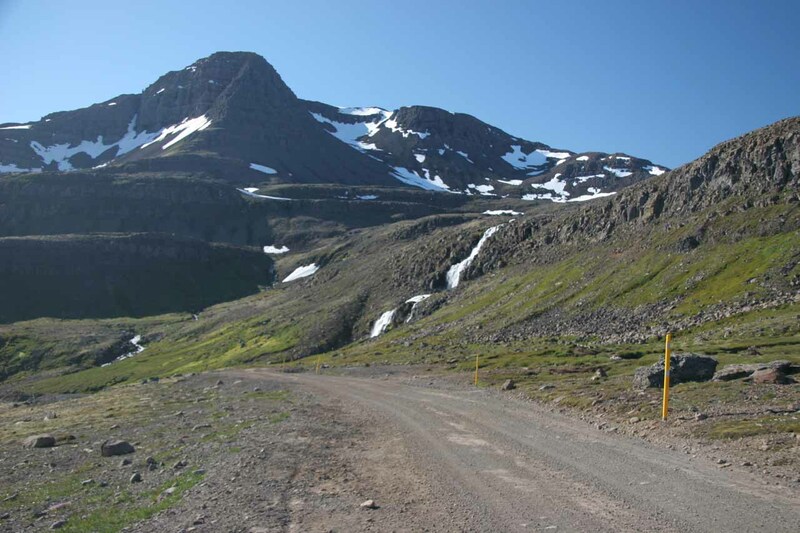 These include Routes 60 in the western Westfjords, 61 through the north-central Westfjords, and 643 on the Strandir Coast of the eastern Westfjords. 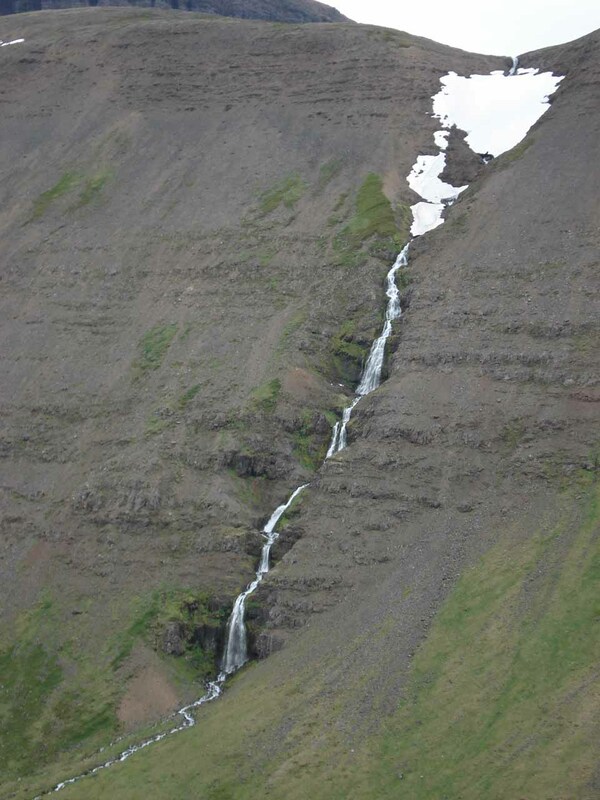 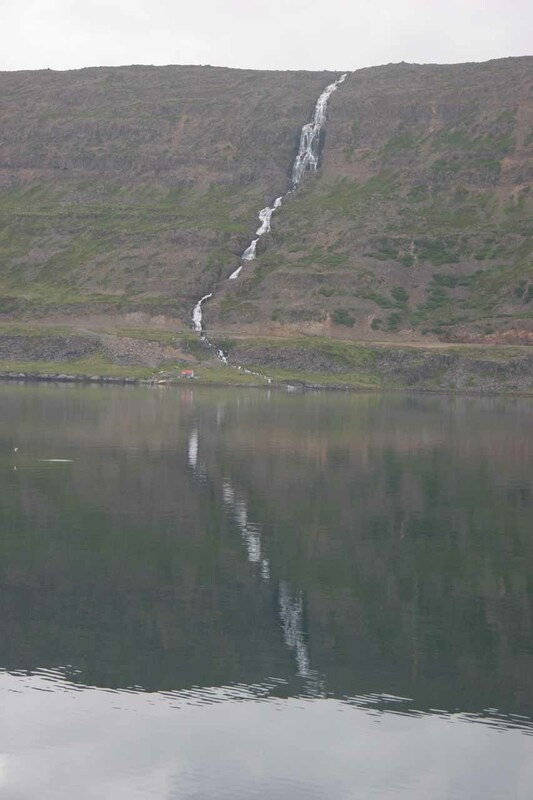 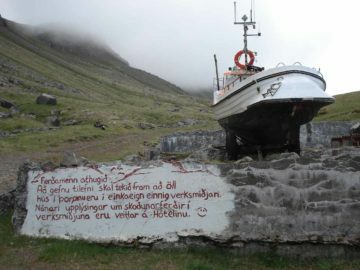 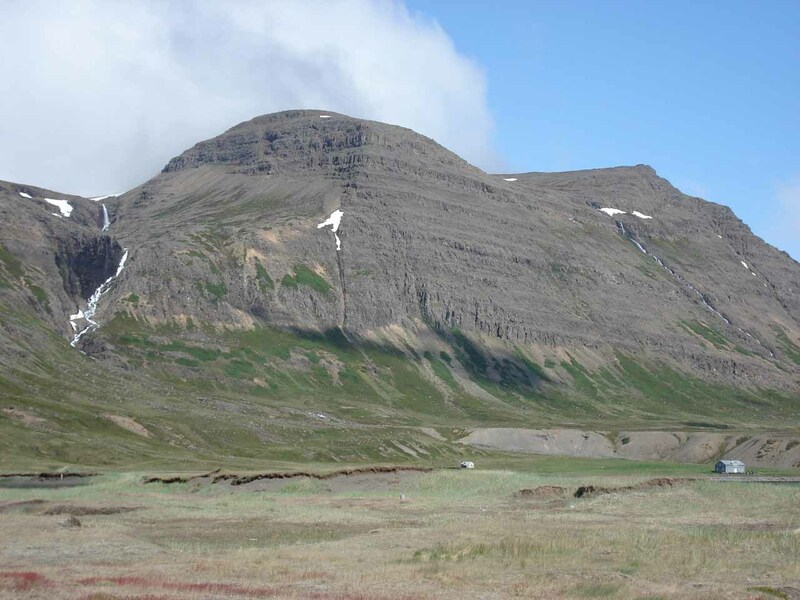 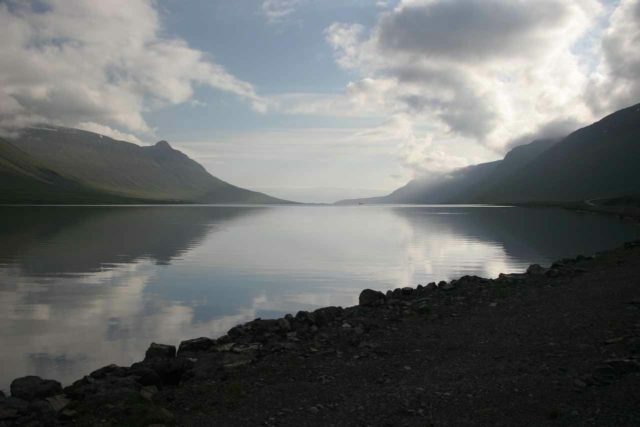 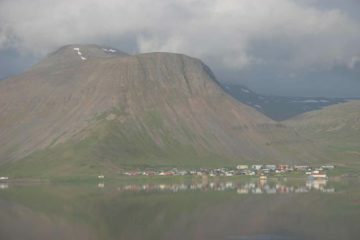 The starting and endpoints of this drive were Ísafjörður to the northwest and Djupavik to the east, where the turnoff for the Strandir Coast was just north of Hólmavík. 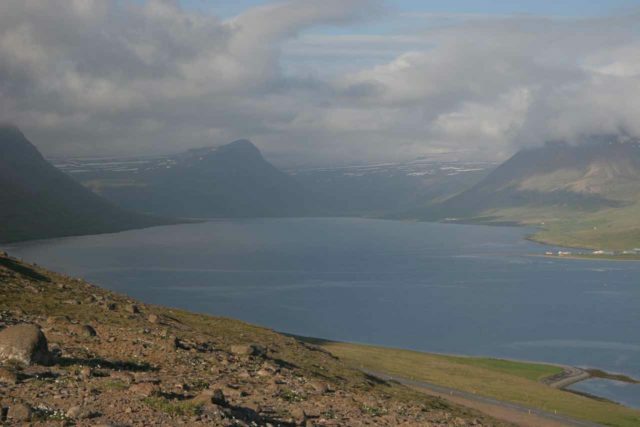 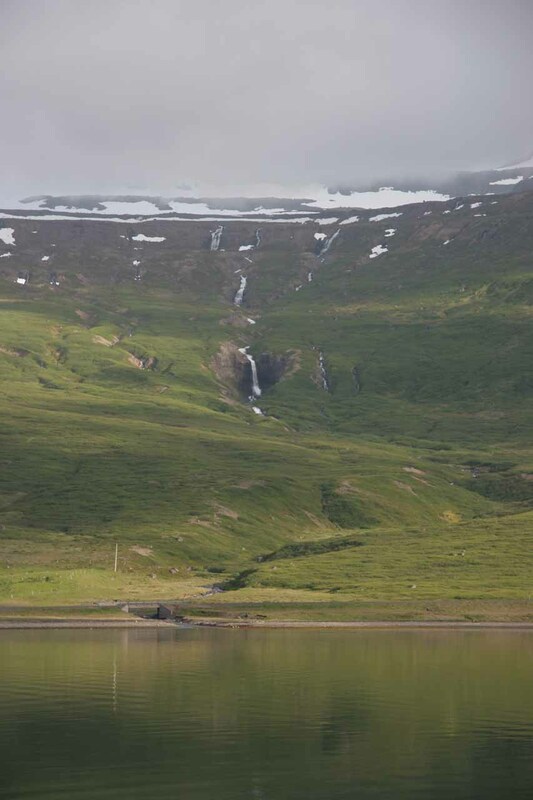 Even though we covered a lot of real-estate, if you look at the map, you’ll see that there were still large areas of the Westfjords that were still left unexplored! 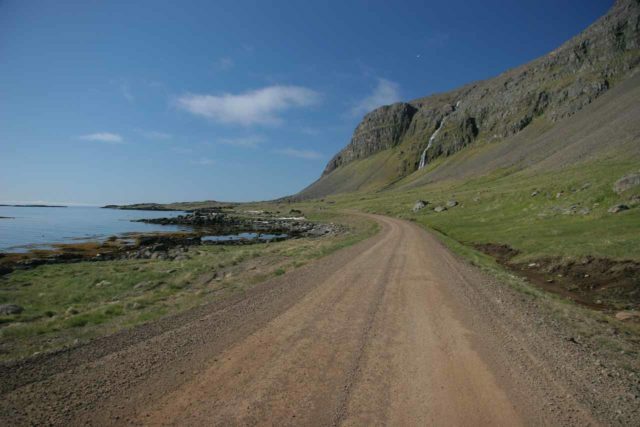 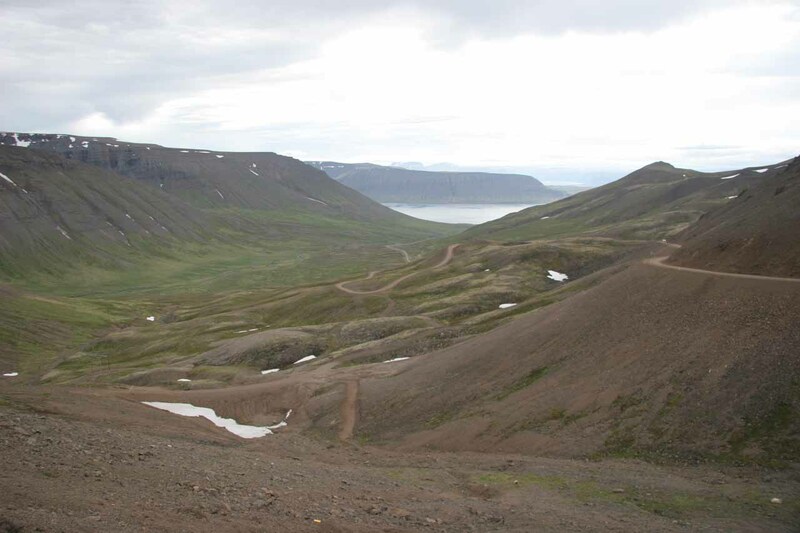 Not only that, there were large sections of the Westfjords that don’t even have roads!